A while back I did a post about my complete Cleaning Cabinet Makeover. It has been one of my most popular posts and I am quite proud of it but as it turns out it’s not really complete. I know, I was shocked too! What could possibly be missing? Well, a dear friend of mine pointed out that it didn’t include a replacement for Clorox Wipes. That’s it? Whew! I can fix that, no problem. Water—this stuff makes up about 60% of the human body and it is recommended that we drink eight glasses of it a day. Just sayin’. For this recipe the water is just there to dilute the other ingredients and soak the paper towel. Isopropyl Alcohol—also called rubbing alcohol, make sure you buy it in the 70% solution. It kills germs and bacteria as well as cutting through dirt and grime. It evaporates immediately leaving surfaces streak-free. White Vinegar—effective at killing most bacteria, germs and mold it is also a great deodorizer. Castile Soap—a true soap, made with 100% plant oils (no animal oils like tallow) and no chemical detergents so it is biodegradable. I use Dr. Bronner’s brand. Paper Towel—I use Bounty brand for making wipes as other brands don’t hold up well after being soaked. Remember that it is best not to flush paper towel down the toilet so put the wipes in the garbage when done using. Melaleuca EO–recognized by it’s more common name “tea tree oil”, promotes healthy immune function, protects against environmental and seasonal threats, helps purify and freshen the air and surfaces. Lemon EO–cleanses and purifies the air and surfaces, promotes a positive mood and cognitive ability. White Fir EO–not only does it smell fantastic, white fir supports c;ear breathing and respiratory function, energizes the body and mind and helps the body relax. If you don’t have one of these essential oils feel free to swap for a different one. Most essential oils have fantastic cleaning properties and will do a great job in these cleaning wipes. Just make sure you use the highest quality essential oils you can find. Get yourself a roll of Bounty paper towels. Oh, and get the extra large ones that are the “select-a-size”variety. I’ve tried many brands of paper towels and Bounty brand is the only one that is tough enough to use as cleaning wipes. Trust me on this one. Now just cut the roll in half width-wise with a serrated or electric knife. I recommend trimming the cut edge with scissors to make a cleaner edge. 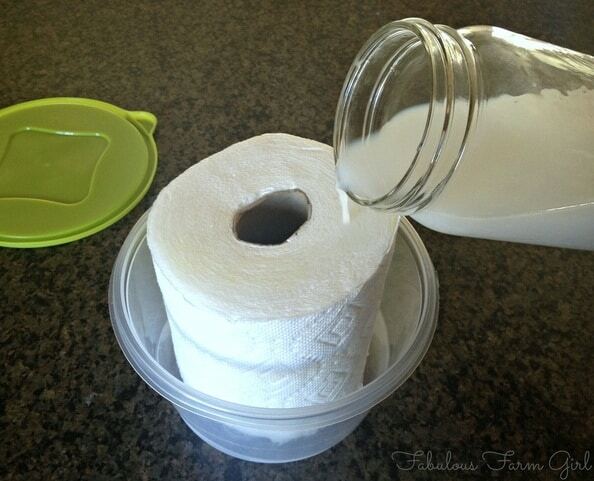 Put one half away for next time you make wipes. For those who know me and are wondering: yes, I did measure the paper towel all the way around with a ruler and marked it with a pencil before I cut it. Laugh if you want, but my two halves are perfectly even, so there! Now you just half to pour everything into a mason jar, put the lid on and shake well for a good minute or two. In a pinch you can use a bowl and stir really well. Put one of your paper towel halves into a container with an air-tight lid and slowly pour the liquid cleaner over it. Keep stirring as you go to keep the oil and water incorporated. Squish down the roll of paper towel with the lid and let it sit there for ten minutes. Then flip the container back over and leave it alone for 10 more minutes. Remove the lid and pull out the cardboard tube and then pull the center-most wipe from the hole. Because you used the select-a-size version you can pull out one small wipe for small jobs or pull a little more to get a bigger wipe for bigger jobs. In my house it seems like all the jobs are bigger jobs! Why is that? Oh, right, I have 3 boys. I have never been one to use store-bought cleaning wipes because they aren’t cheap and I don’t like what’s in them. But now that I’ve come up with my own home-made version I’m hooked. My boys much prefer cleaning their bathroom with them and I feel good knowing all the ingredients are safe and very effective at killing germs. Plus they smell great and who doesn’t love that? 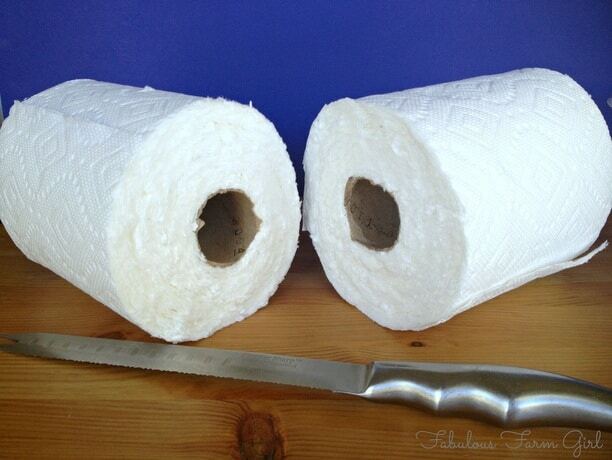 Cut paper towel in half width-wise with a serrated or electric knife. Trim rough edge with scissors to remove stray bits and pieces of paper towel. Use half the roll now and save half for later. In a mason jar or bowl, combine all ingredients and stir for several minutes. If using a mason jar, put on lid and shake well. Place paper towel, cut side down, in a glass or plastic container with a tight-fitting lid. Pour mixture over the paper towel and cover with lid (squishing the roll if necessary). Let stand for 10 minutes. Turn container upside down and let stand for 10 more minutes. Remove lid, then pull out and discard the cardboard center. Pull the innermost wipe from the center of the roll and you’re ready to start cleaning. Cover with lid when not in use. Note #1: In case you’re wondering, I got my round containers at Walmart. They came in a pack of 3 for $1.87. I was worried because they don’t have an airtight seal but the wipes have stayed moist for months. I keep a container under the sink in each of my bathrooms. Note #2: If you notice your wipes start to dry out after a while, just pour 1/4 cup water over the top to reconstitute. 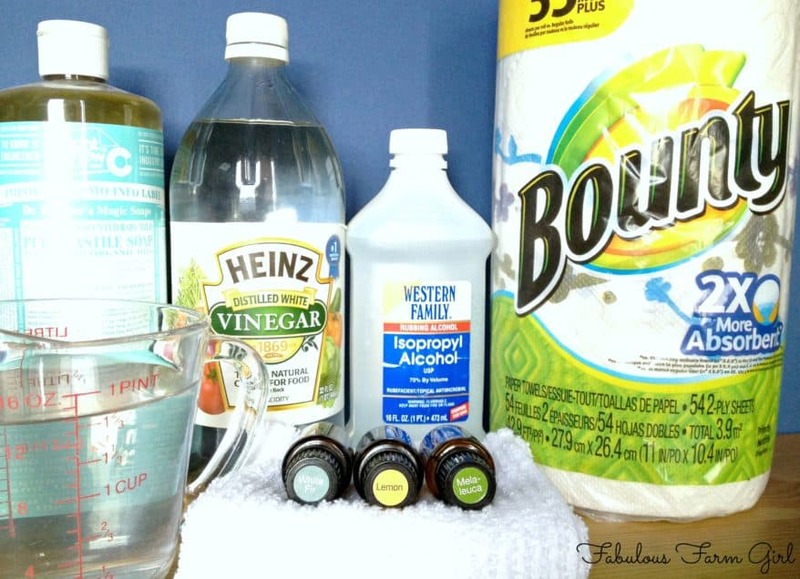 I love homemade cleaners! Pinned! Hi Amber–I love homemade cleaners too! Thanks for stopping by. I’m all sorts of in to all-natural cleaners. This is AWESOME! Thanks, definitely pinning. Definitely trying! 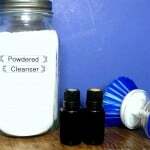 Thanks Yvonne–I love my homemade cleaners too! This one is quickly becoming a favorite since they’re so easy to make and use. Enjoy! What a great idea…I love that you can pull from the center too. Makes it so easy. Great tutorial! Thanks so much Nicole! And yes the are very easy to make and use. So glad you stopped by. Yes, Kit. Yes you were. I mean are. LOL. And your prize for participating is your very own container of All-Natural Cleaning Wipes. Congratulations! Wahoo!! I am loving them!!!!!! I love making natural version of things like this. Thanks! Me too, Gretchen! I swear you are gonna love these. Thanks for stopping by! This is such a great idea! And I have everything to make them. Thanks! Thanks Daniela–I love it when I have all the ingredients to make something! 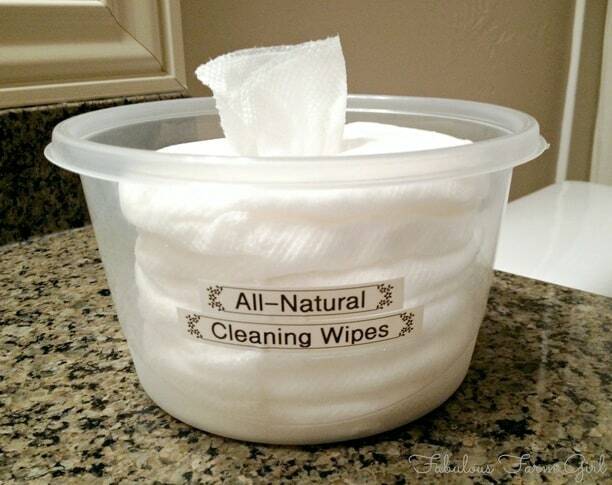 Just posted these wipes on your blog-hop and anyone reading this should check out your website. It’s great! I’ve always wondered how to make these! Thanks for the tutorial! You’re welcome Amberly! They are super easy to make and work like a charm. you’re gonna love them. Thanks for stopping by! Nice! my hands are super sensitive to wipes in the market.. I’m so tempted to try this one. thank you! You’re very welcome Vidya! I hope they work for you. I love this recipe! I’m going to make these for my office as well. YOU have been featured this morning @ Back to the Basics for Tuesdays with a Twist!!! Thank you for sharing with us! What a great idea Mary! I was also thinking they would be great for teachers to use in their classrooms. So many possibilities. Thanks for the feature on your blog-hop this week. I really enjoy your site! Genius! I love this idea, can’t wait to try it… I wonder if they can be disposed of in the green bin (organic waste)? Thanks Jennifer! How awesome that you live in a place that has such a thing as a green bin. Everything in these wipes is all-natural and bio-degradable so I’m assuming the answer is yes. Now the question is how do I get my town to do an organic waste bin? Very cool! I am always looking for a natural way to clean! Me too, Chari! You’re gonna love these and they’re super easy to make.Thanks for stopping by! Great idea – frugal and uses pretty basic ingredients! I found you on the Homestead Blog Hop. You should link up to Mostly Homemade Mondays – I think you would fit right in! Thanks Kelli! Frugal and basic–that’s me! Just linked up to your link party and spent some time looking around your site. I really enjoyed it and will check back often. have a great week! Thanks! Love this recipe and the tip for using bounty paper towels. I’m going to make this for home use, but also make a udder wipe for our milk goats. Ingredients for udder wipes are apple cider vinegar, infused comfrey and cayenne, tea tree EO and lavender EO. I already have this in a spray bottle to spray their teats after milking, but would be easy to make a double batch and use the same for cleaning the udders pre-milking. Thanks again! Your welcome Heather but I should be thanking you. I love, love love your idea of udder wipes and I don’t even own a cow (yet). I will definitely keep that one on file for when I do. My husband and teenager think you’re a genius. I agree! I SO have to try this!!! You will love them Tewauna! Thanks for stopping by. Curious if anyone has used this same recipe with old t-shirts or something like that, in place of the paper towels? Oh, now I’m curious too, Susan. I love the idea so if you try it please come back and let me know how it works. That’s a great idea, though maybe the cloth would soak up too much of the liquid? You could always carry around a container of the solution along with your re-usable cloth wipes. I agree Michelle. You would have to adjust the amount of liquid you use depending on the number of cloth wipes. The good news is that you can just put the extra in a spray bottle and use it that way. Or apply it to a cloth as needed as you suggested. My readers are so clever! Yes Simone, they are great for kids to use and much less toxic too. Plus they’re cheaper, they smell better, they clean great and disinfect too. Can you tell I am kind of in love with these wipes! Definitely a great place to start your cleaning cabinet makeover. Have a fabulous day! So glad I stumbled on this! Maybe now I will finally be able to convince my mother to stop buying the cleaning wipes and use these instead. I hope you can convince her, Ana Lynn. These are easy to make, cheaper than store bought and without all the toxic chemicals. Good luck! Wow, that’s so cool! I’m definitely going to try making some. I haven’t used any kind of cleaning wipes since my daughters were little, but they are so convenient and useful to have especially while traveling. The only item I need to purchase are the paper towels (thanks for the brand tip by the way). You’re welcome Michelle! My kids are teenagers and they prefer cleaning with the wipes. To be honest so do i and since they are cheaper and not toxic like the store brand, I can easily justify it. I love the idea of using them when traveling. I am definitely stealing that idea. Thanks for stopping by and have a fabulous week! That’s awesome Sarah Ann! Essential Oils have changed my family’s healthcare entirely. No one here has been sick in almost 2 years since I started with doTerra. My Cleaning Cabinet Makeover is a great place to start and will allow you to get rid of all the toxic cleaning chemicals in your home. Thanks for the invite and I will definitely link up next time. Have a fabulous week! These look great! I knew you’d have to use Bounty….they really are the only paper towel worth using, right? Sounds like we should both be on their payroll. LOL! Have a fabulous week! What a great idea! I am never without tea tree oil. It’s one of my favorite essential oils! Thanks Susie! You have good taste in essential oils–Melaleuca is one of my favorites too! 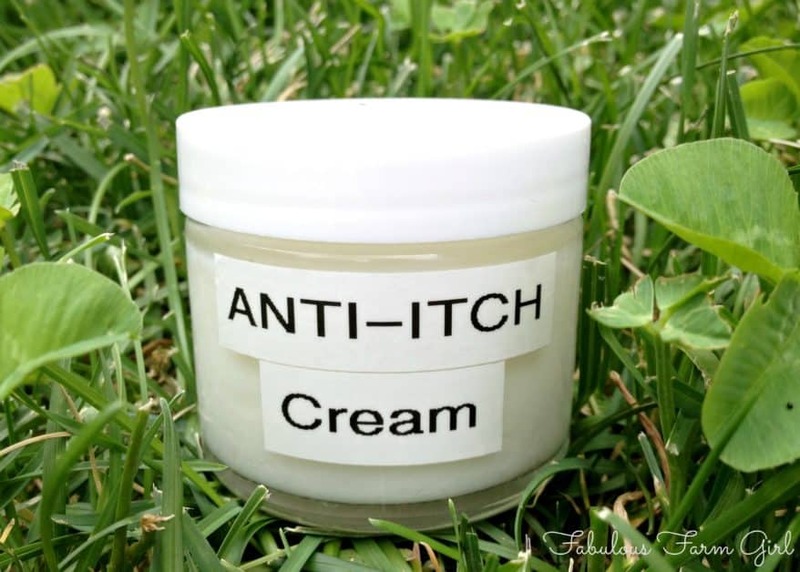 It’s so versatile and I use it in lots of my products. Have a fabulous week and come back soon. Ooh I am definitely printing this out! 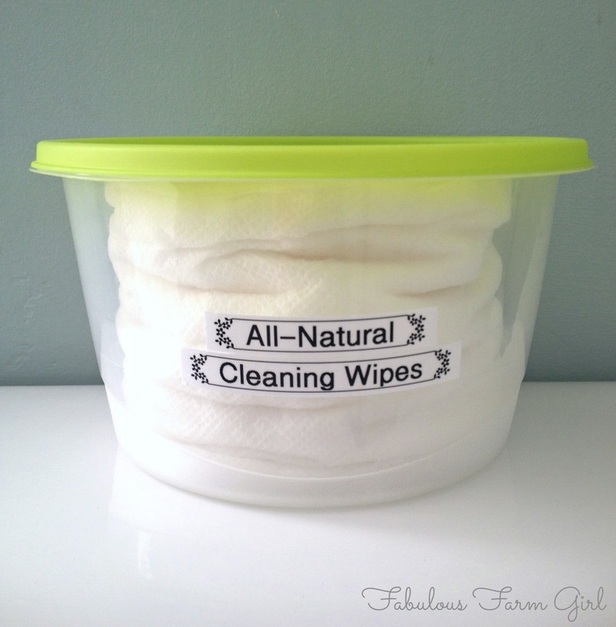 I love my homemade cleaners, but just have not found anything to replace my Chlorox wipes. I can’t wait to make these!! Thanks for stopping by Heather! You are going to love these. They are quite possibly my favorite homemade cleaning product. Have a great week! Very cool idea. Glad you posted, now I know I can save several dollars by following your tips. You’re welcome Honeybee! I love saving money especially when you get a better, safer product in the process. Thanks for stopping by! Love this idea! Is it safe to use on all countertop surfaces? Hi Renee–thanks for your question! These wipes are safe on acrylic, ceramic tile, wood, glass, stainless steel, marble and granite. You’re gonna love them. 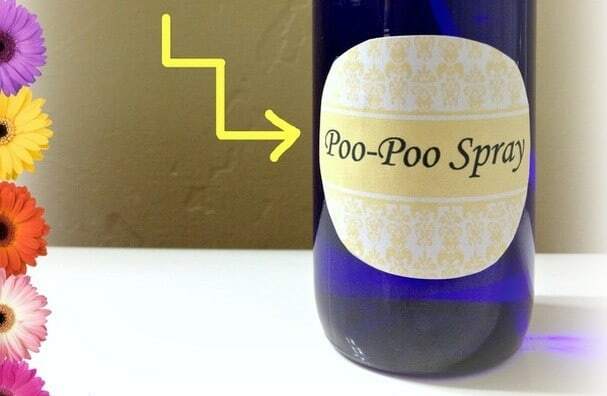 They are probably my favorite homemade cleaning product. Have a fabulous week! This post is a great reminder for me try these. Thanks. You’re welcome Caryn! 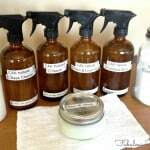 These are one of my favorite homemade cleaning products. Definitely make it soon–you’re going to love them! This is such a fabulous idea! I don’t have small kids at home, but I do have six dogs, so it’s kind of the same idea (except they don’t have to clean their own bathroom). Here from the Sits Girls! Fantastic method. I have tried several times to do cleaning wipes at home. I put only 10 drops of essential oil. First time I used lavender essential oil. It has amazing scent. Every time when I wiped something with them the whole house smells. Greetings! That’s great Allison! Good job making your own cleaning products and riding your house of all those nasty chemicals. 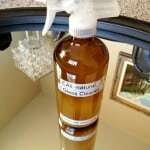 Of all the homemade cleaners I make, this is one of my favorites. Thanks for stopping by! Hi! Which Castile soap scent do you use? 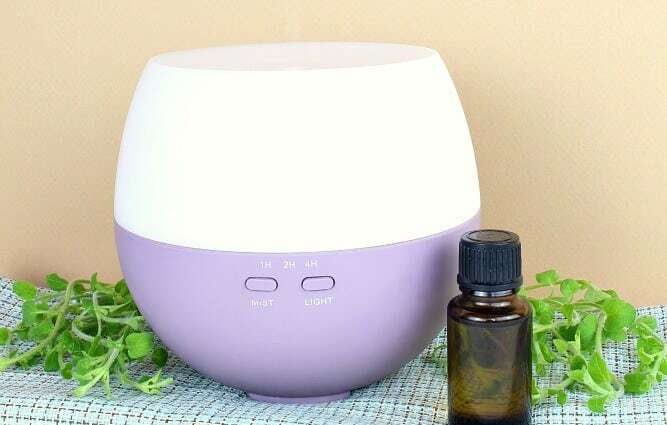 Hi Lisa–I use unscented as I want to get the scent from the essential oils I add in. Thanks for stopping by. You are a rockstar!! I, absolutely, love all your recipes… thank you for helping us all remove the horrible chemicals from our home… one homemade product at a time! Wow Katy–thanks so much and you’re very welcome. But really, you’re the rock star for not just talking about making your home healthier but actually doing it. Great job! Hi, I’m looking for wipes for germy hands while we’re out. Do you think this recipe is also good for hands? Thanks!